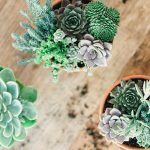 Did you start a blog full of enthusiasm but now find yourself a year or two, or perhaps even a few months in to blogging only to feel your mojo waning? You’re not alone! Because these 5 reasons blogs fail is just a tip of the dead blog iceberg. It’s impossible to say how many dead blogs litter the internet, but it’ll be hundreds of thousands. I’ve two to my name, but thankfully not counting, and three pretty much alive – thanks to my having identified the strategies outlined in this post! If you Google dead blogs you’ll come up also with results like ‘Is blogging dead in 2016?’ and ‘Why blogging is dead’ and combos like that. This post isn’t about to indulge that sentiment as it’s about getting your blog on the straight and narrow to complete success, not suckering up to failure to add to those doomsayers on blogging! 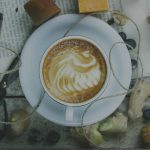 The blog to my mind is even more vital a piece of the freelancer and solopreneur’s toolkit than ever before. While social channels explode, and their algorithms insidiously dictate our visibility, the blog – the one face to the world we actually can own outright – is our safety net and safe home in the vicarious world of social media. Saying good-bye to your blog because you’ve hit a few stumbling blocks is not something to entertain. Just don’t go there! It’s going to hit your entrepreneurial goals hard. 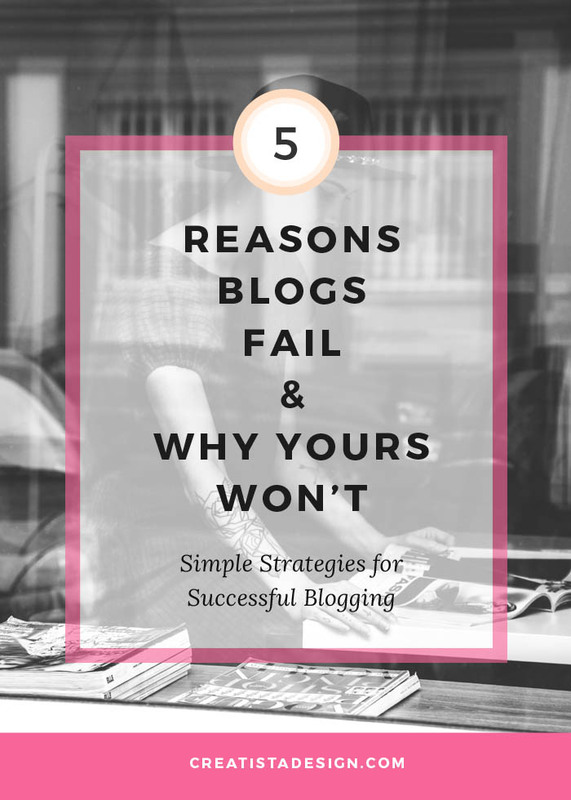 That said, let’s try to sort out how you can keep your blogging momentum going when you do come up against any or all of these top 5 reasons blogs fail and bloggers throw in the towel. Back in the early and mid noughties, blogs just started. No one talked of strategies. Those were too high falutin for the solo, lone blogger. Blogs started life as a gut reaction to a passion, and had little or no future-planning or -proofing. Those blogs bit the dust for the simple reason that sustaining them with no pay-back of any kind (bar feeding a community oodles of free content) proved soul destroying. Many a mommy and hobbyist blog was just a diary to the four winds. Now though, the ‘mommy blogger’, for example, is more likely to see herself as a membership site of large, subscription-paying community; a brand influencer; sought-after speaker; event organiser; ebookwriter; and ecourse trainer plus a whole lot of other roles. There are still the earlier types of blogs out there, popping up every day, but I doubt they’ll last. Blogging is hard graft, even if it starts as a passion for a topic. To sustain it, you’ll need to know who you the blogger would like to be. How long can you put your energies into your blog with no returns? These don’t all have to be directly monetary as you may well be aiming to create a supportive community around a topic, and be a kind of NGO blogger. But for those with freelancing and solopreneurial aims, the blog needs guts not just gut passion. Whether you’ve been blogging a good while or are a newbie, grab paper and pen, or Evernote or a Google Doc, and brainstorm what kind of blogger you’d like to be a year from now. Take those examples of monetization I listed above as your starting point. See what clear 3 routes to making cash from your blogging appeal most. Let’s take for instance: (i) local speaker/event organiser (yes, offline work from online efforts count too); (ii) ecourse provider; and (iii) membership site founder. You then need to see how each and every post you write contributes to those goals. Your blog content won’t pull all your aims together immediately, but give yourself 2 months to hone things in a consistent whole. Local speaker and event organizer: Take a look at the expertise you’ve handed out in several posts and see how it can be collated into a morning or evening presentation and workshop – this can be online if you like too. Invite your tribe via Facebook, creating an event page. Set a scarcity limit on the places! If hosting in a real venue, charge something nominal over your refreshments’ bill. Say $15. Grab some confidence, make sure your tech works, and hit them with a fun, community-building event. Afterwards, send out a link to a landing page on your site that has a free cribsheet of the event or some other related optin. Ask your participants for feedback. Now, you’ve some testimonials to put on your site, and a huge amount of material and feedback you can use to create eproducts and services like courses and ebooks. One step further on in this strategy of expertise driving community is a membership site. You give great free content away, but hold back wider and deeper expertise in a membership site that can mentor, coach, train and provide a supportive community. You offer members discounts on your eproducts, webinars and so on or free lifetime access or a blended combination. I’ve outlined here in brief a way to move your blog along to sustainability over the course of say 6 months – if you go for it! Nothing is impossible, if you just map out where you’d like your blogging goals to lie. This route focused on building your own eproducts and services, but you could equally as well take a three-pronged route with ‘brand influencer’ as the starting point. This route needs you to build a solid About page and media kit, probably sign up for various agencies brokering blogger-client relations, and also master social feeds like Pinterest and Instagram. Work to do for sure, but less painful if you have your goals mapped and a timeline in your sights. We’ve all heard the one that goes ‘busy people make time’. It doesn’t help us get anywhere making more time ourselves, does it? If you realise that what you need is to plan time, not save it nor somehow miraculously ‘make’ it, you’ll do just fine ‘finding time’ to blog! Busy people have a routine or schedule. Those with no time run chaotically around, snatching moments and putting efforts scattergun effect here and there into several things, and finishing nothing. Here we go again – yes, it’s another form of strategizing your blog. I’ve learnt the hard way that blogging manically 3-4 times a week or more to drive the Holy Grail of traffic, was a completely soul-destroying, stressy way to blog which did not bring long-term results in gaining loyal subscribers. It gained the Pyrrhic victory of traffic but high bounce rates as I fed hits not brought visitors home to stay. That approach is now completely unwise, unnecessary and unsustainable. Yes, you do need to work out when you can blog – Sunday evening in one fell swoop or perhaps adding a paragraph each day over the week. Remember, it’s better to have fewer posts of quality than lots of rushed posts lacking meat. My watchwords are consistency, quality and chunking. Basically, you need to decide on your blog schedule – let’s say, one post a week and write it so it can carve up into several nice standalone chunks to drip feed into your social media. That way, your important social tribe receives frequent nuggets from you, all drawn from one single blog post. The single post well crafted will check the quality box. Remember, that posting without publicizing your post on social media will mean posting to the four winds. So time management is all about blogging smarter not harder. One quality post (usually a longer one) – whether weekly or bi-weekly – and working that post harder will give you more sustainable results than blog slogging to instant burnout. I’ve the strategy for this in detail over on this post on How to gain subscribers working your posts hard. Tech is there to help not hinder, and with some will power and planning, you can master and mistress it! Take heart, you’re already a techie without knowing it …. You’re reading this because you’re no doubt already using WordPress as your blogging platform. You’ve conquered a steep learning curve as many would-be bloggers see WordPress as just too techie and hassly to use. Tumblr, Medium, Squarespace and other similar walled garden blogging platforms are easier to get up and running but are far more limiting in the long run and especially for the pro blogger. So, you’re on WordPress and if you’re planning to take on board point (i) above, you’ll be looking to extend your blogging capabilities and add various plugins, sales funnels, landing pages and email integrations to support them; and perhaps go for broke hosting a webinar. I haven’t done the last item – Webinar. Just to make the point: you are not alone in lifelong tech learning! My advice is to take one new tech aspect a month that you need to adopt to take your blog up a level. The first to get to grips with is an email service provider like Mailchimp (free for up to 2000 subscribers – if you don’t need automated sequences), or paid-for platforms like Convertkit or Aweber, which will take you pro level. Even before your blog is online, on that coming soon landing page, you can start to gather a subscriber tribe. So email is Numero Uno tech concern. Take your time over that month to read up on the options, work out your budget and also if you need any automation of emails to deliver, for instance, free optin emails or ecourses over a set period. See what makes sense then go for it using any tutorial material you come across. It can take a good week of blogging time (well spent, I might add) to create a decent optin sequence. The same goes for any next must-have tech item or to-do on your list. Tech is totally do-able, believe me, but there’s no pro blogging without it! I’ve a ‘Tame your Tech‘ ecourse coming up that I’ve aimed specifically at bloggers and solopreneurs. If you’d like to know more, you can sign up here and I’ll alert you to its launch later this summer. I’ve been DIY-ing and bootstrapping blogs for over 15 years, so know the pros and pitfalls and can handhold you all the way from learning about Google Analytics to ftp-ing a site online and what to do if your site is the ‘white screen of death’ and is offline! The old days of publish and be damned – and forget about your post – are long gone. The brilliant blog post that took you all day is not going to be ‘found’ unless you wing it out on all those social media accounts you signed up for. As you’re now doing one quality post to drip-feed on those channels for a week, you’ll need to know where to find your audience and where you feel comfortable hanging out. There’s a problem though: how on earth can we be omnipresent on all those channels we eagerly set up accounts on? We stress about having left many channels languishing. We think that we might have made it to stratospheric heights on one or more, if we’d bothered. And we also know that social media makes us feel, well, less than social on many occasions! List down your communication skills and match them to social channels. For example, if you’re a visual person but hate video, try Instagram as the place to put your energies. If you know you like podcasts and listening to music or ecourses on the move, then try those channels out for your blog. Try to think how you like most to interact with other people’s blogs and work out if what gives you pleasure as audience can motivate you as a content producer too. Don’t feel you need to have all social buttons your site but do learn to try them out, read up on their pros and cons, and then tackle three that you feel at home on yourself. If you try to be somewhere that’s not ‘you’, your posts will come across stilted and at odds with how the medium works. Discover where your audience lives. Start by researching the stats – apparently USA women love Pinterest like crazy while only around 8% of US men online are Pinners. Stats aside, you will need to find Facebook groups, social streams, LinkedIn groups, other blog comment streams and so on to discover where your potential audience is sharing and caring for each other. Join in, helping out in the conversation, perhaps resolving some of those pain points that get raised. Once you’ve an idea of your audience, where to find them and what they need help on, you’re well on the way to defining the social channels to reach out to them. This may take some time and research but it if reduces you’re time-wasting longer term on social media, all well and good! The right audience can translate into the subscribers you yearn for. Choose a new channel or one you’ve left alone for a while and start out afresh on it, reading up on how to use it best etc. Work out what tech or other skills you need. Then, give it your all for a month and then assess how it makes you feel. Did you take to it or feel out of place after your trial push on it? Do it or ditch it! Find 10 really great sources of content in your blog’s field – other blogs, magazine sites, podcasts, portals etc. Then, follow them and add them to lists – so you can find them easily! Bookmark or Evernote articles ready to pull out as curated content on days you’re pushed on time to post on social media. Always make sure you add a comment of your own, however short. That way, you will gain a personal voice and credibility even when curating other’s work. 5. Lack of a Community – and not the one you think! They say being President of the US is a lonely job. True! And true of anyone at the head of any entity. Now, you’re heading up your blog, and most probably you’re alone in doing that. You’re juggling innumerable roles from editor, writer, designer, marketer, social media manager, advertising, affiliate partner manager, photographer, broadcaster, video editor and the list goes on. I don’t know about you, but I for sure am not as expert in all these roles as I ideally need to be to run my blog as amazingly as I’d like! But, I’ve learned that imperfection and learning on the job are just fine and I’ve relaxed about posting perfectly and social media managing 24/7. I’ve also learned to find communities of like-minded blogger and solopreneur types. I find immense solace not just incredibly useful tips and resources from those fellow loners at the top. And I give back – sharing when I come across something of value to us all and also chipping in when a query or pain point is something I have expertise in to help resolve. 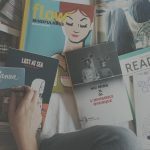 Any long-time blogger will attest to having had even close friends and family members be critical of their blogs or the time they spend on them (and not with the critics!). Fair point – we don’t wish to hide away from real life to give all to our online spaces. However, if you time manage and ease your blogging burden using the tips above in this post, and you still find lots of people being negative or not understanding your passion for blogging, then you’ll need to find some community online to kick in with support. I belong to an amazing, motivated, caring and kick-arse great Instagram group that supports each member whether one with less than 100 or over 75K followers. The collaboration is a win-win for all, and successes and slow growth woes are aired equally and all voices find answers and helping like-minds. Whatever your blog topic or preferred social platform, you will find communities in your sphere who can help on almost anything in growing your blog and as a blogger. My next post is on just that – I’m going to research and document some of the most valuable and amazing communities out there online to join to give you a community of support. Growing a community of subscribers and fans is probably what you thought this point was about. But without your own community of support, you’ll never serve that other community as you would wish! The moment I realized I don’t have those problems gave me an motivation boost! So glad it acted as motivation! I can see that your site / blog has little need to worry on that front! It’s a wonderful resource. Your comment actually prompts me to add a checklist to this post as it’s such an epic length, it’s might help to have a shorter quick-hit list to breeze through to see the key elements a long-term, successful blog needs! You’ve motivated me too!